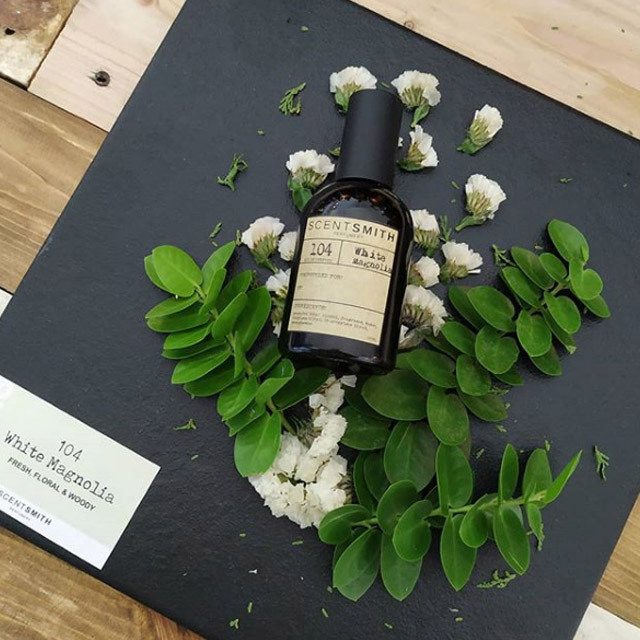 Relish the sweet notes in the air at Scentsmith Perfumery. Just as you're particular when choosing a perfume, you can also be very particular with the scents you use at home. While some prefer the soothing aroma of lavender, there are those who’d rather use pine or cinnamon. Without a doubt, scents play a big role in our lives—you spray on your favorite fragrance before heading out and you make sure your home always smells inviting. 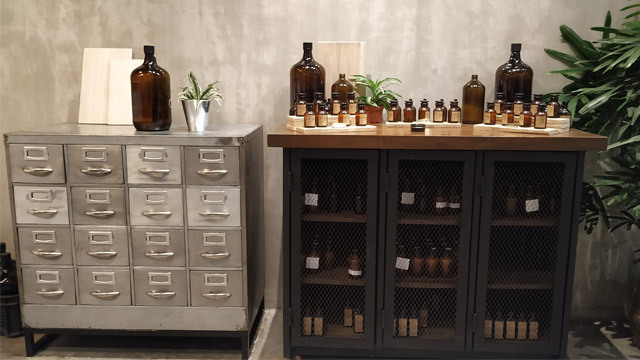 If you’re a fan of scents, a visit to Scentsmith Perfumery is a treat you wouldn’t want to miss. 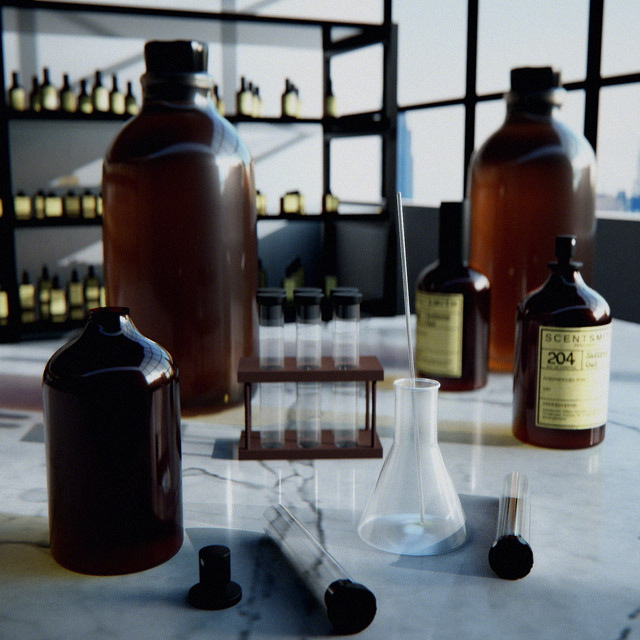 Here, your chosen scents are compounded or created specifically according to your needs. They're then hand-blended, and you get a personalized perfume bottle, too. From bringing back happy memories to making the home as relaxing as possible, scents have the power to make you feel better and at ease. “Every scent has a meaning for us. 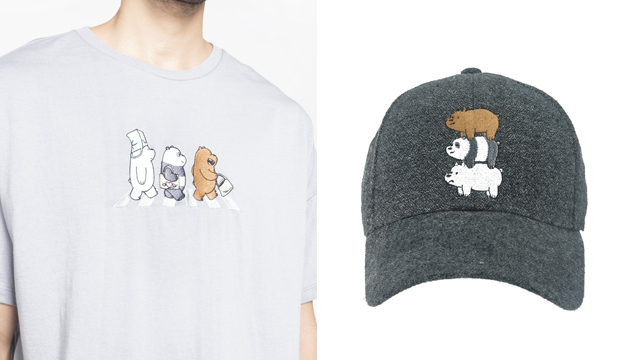 And that is what we want to bring through Scentsmith, an experience that goes beyond their sense of smell,” shares brand manager Kristine Torres. Everything in their selection is formulated without parabens, sodium laureth sulfate, phthalates, mineral oil, petroleum, paraffin, or diethanolamine—names you'd commonly find in ingredient watch lists. 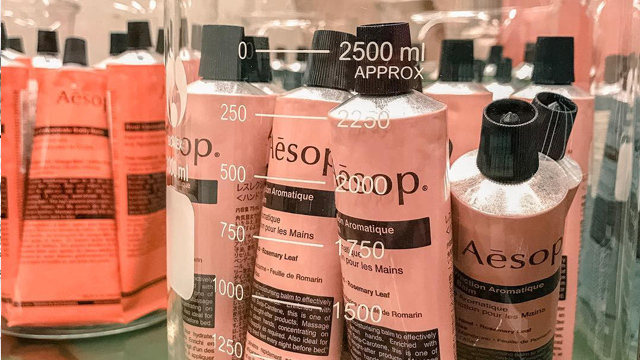 Aside from offering fragrances as eau de perfume or solid perfume salves, the brand also has options for body lotion, body wash, body oil, shampoo, and conditioner. If these personal care must-haves aren’t enough to get you excited, they have a growing product line for the home that includes aroma mists, diffusers, and candles. Got stinky bathroom problems? The Loo Drops can help keep it smelling clean and fresh so you can feel relaxed every time you step inside the T&B. Scentsmith also plans to introduce humidifier oils and blended aroma oils in the near future. 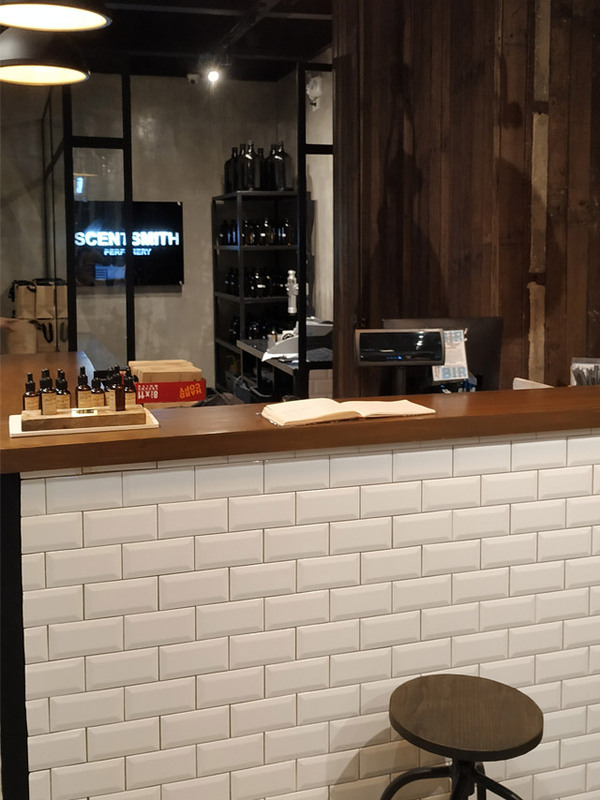 While waiting to have your own blend of scents compounded at Scentsmith, you may want to take a few photos inside the store. Styled by interior designer Mara Manalo, it showcases the beauty of industrial, rustic, and vintage styles. On one corner are two vintage cabinets housing the different Scentsmith products. Customers can try on the different scents available to help them pick the best one that suits their personality. Some stand-out scents include Saffron Oud, Lavandin & Sandalwood, White Magnolia, Bergamot Patchouli, and Ambrette Sea Salt. 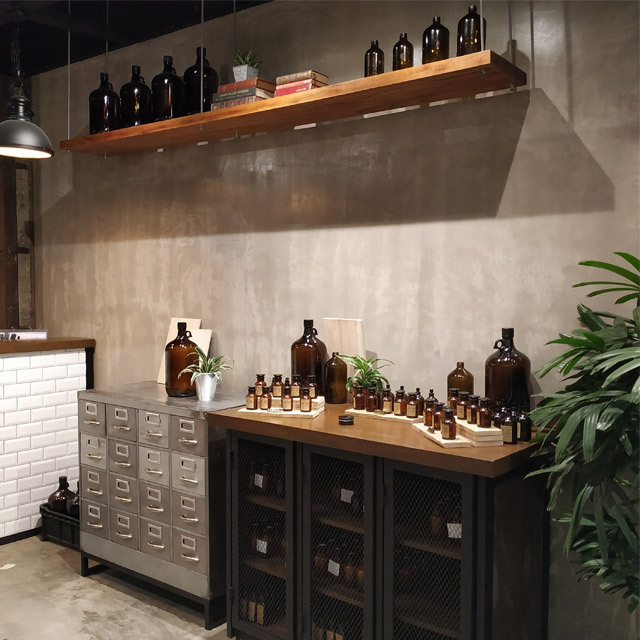 The small space will remind you of an apothecary with its cement walls, wooden shelves, and vintage cabinets that complement the amber-toned bottles. 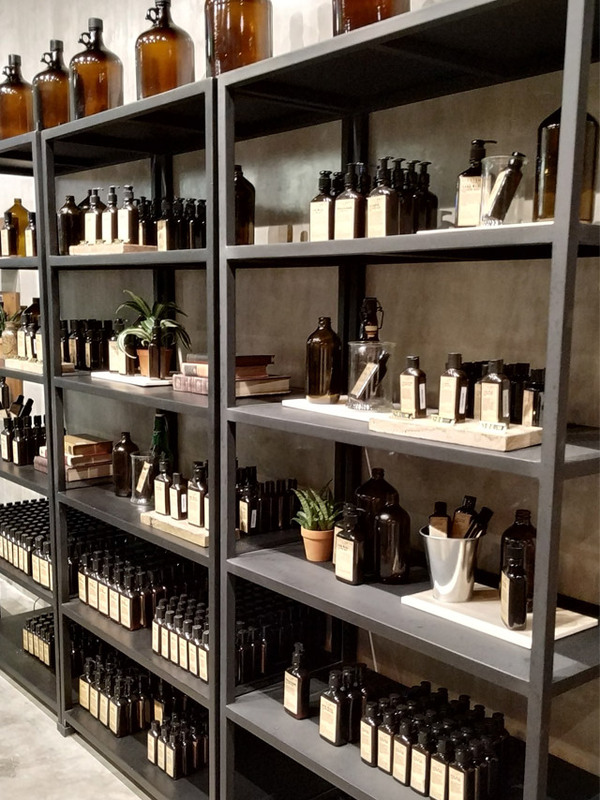 The store’s overall ambience is uplifting—one whiff of the lovely scents can quickly improve anyone's mood. One corner highlights the personal care products and home essentials offered by the brand. 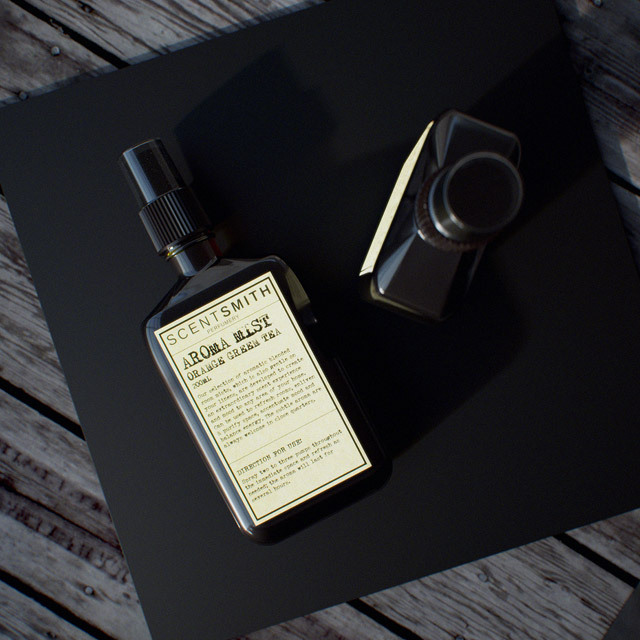 Each bottle's packaging shows the list of non-toxic ingredients used in crafting each item. Choosing a shampoo? We suggest you give Lavender Mint a try! Visitors are welcome to take a seat, strike up a conversation with the store attendants, or watch how the bottles of perfume are made in-store. Scentsmith Perfumery is at 2/F Greenbelt 5, Ayala Center, Makati City.